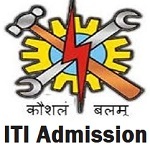 To screen the candidates for admission to the various states’ public and private ITI institutes, the Jharkhand Combined Entrance Competitive Examination Board (JCECEB) conducts ITI Admission Process. Candidates can apply for the same, who want to pursue the entry-level vocational courses in various trades in the ITI institutes of the state of Jharkhand. Candidates are advised to read the official advertisement before filling the form. 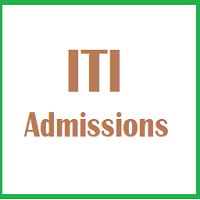 Check here all the details about Jharkhand ITI Admission 2019 such as Eligibility Criteria, Important Dates, Application Fee, Exam Pattern, Admit and Result. Jharkhand ITI Registration process will be started from the last week of April 2019. Candidates can click the application link to register online. Candidate must be a resident of Jharkhand State. The age of the applicants must not be less than 14 years. The maximum age of the applicants needs to be 40 years. 5 years relaxation in the upper age will be given to the widows of the martyrs. Candidates need to have completed the 8th standard education from a recognized primary school. Candidates, who have completed the secondary school education from any state or central government board, will also be eligible to apply for the admission. Candidate should be physically fit and he/she also need to submit Health Certificate. Candidates seeking reservation must submit valid caste certificate at the time of counseling. As per the existing rules, the reserved category candidates will get the reservation. Physically handicapped/disabled persons can also seek reservation. These candidates also need to submit a valid certificate in support of their claim. For the Jharkhand ITI application form will be available on the official website of the Board. Before filling the application form, candidates must have to read the instruction carefully. Applicants need to fill all the necessary details in the application form. The online application form will be issued from the website. After making the payment of the application fee, candidates can submit the application form. There will be an application fee also which candidates can pay through the credit card, debit card or net banking. The application fee can also be paid through Demand Draft. Application without the application fee will not be considered. The application form is expected to be available in the month of April 2019. To submit the online application form, candidates have to access official website i.e. jceceb.nic.in. The form would be completed in three stages i.e. filling up of the online application form, uploading of scanned images and payment of application fee. After putting all the information, you must re-check and then submit the application form. All the information should be correct in all respect. There is no need to send hard copy of the filled in application form to the Board. Take a printout of the confirmation page or filled in application form and must retain a copy for future reference. Candidates can also apply via offline mean. Click on “JCECEB ICR Application Form” to download the application form. Take a printout of the downloaded application form. Fill all the information carefully in the application form. Paste a recent passport size photograph and sign. Send the duly filled application form to the “Controller of Examination, JCECEB, Science and Technology Campus, Sirkha Toli, Naamkum, Ranchi-834010, Jharkhand” through speed/registered post. The result will also be available on the official website of the Jharkhand Combined Entrance Competitive Examination Board (JCECEB). By providing the essential credentials, candidates can check the result of the entrance exam on the official website. The counseling is the main & the last stage of selection to get admission in various ITI courses in the different colleges of Jharkhand. The seat allotment will be done through counseling. The selection of the applicants is completely merit-based. Based on the marks obtained in the 8th or 10th standard examination, the authority will prepare the merit list. According to the holding rank in the merit list, the applicants will be called for counseling. The applicants must have present on the day of counseling. Candidates should present with their receipt of payment and other documents for verification. Identity proof such as Voter ID Card, Aadhar Card, etc. Hlw sir,I m MD. Arbaj Alam nd I m live in chaibasa Jharkhand.admission kb se Hoga sir????? ?